The Logjam due to suspension of 126 Tamil Nadu Lawyers protesting against the amended rules to the Advocates Act, seems to be having an amicable resolution in the offing. The Bar Council of India has stayed its 23rd July Order till 22nd August and has directed the suspended lawyers to resume work. The almost 3-month long strike had paralysed several courts in the State of Tamil Nadu & Puducherry. The lawyers of the state had staged protest against the statutory amendments to rules in the Advocates Act. Couple of rules debarring errant lawyers for certain misconduct caused the furore. The Joint Action Committee (JAC) of various bar associations called for a sit in at the Madras High Court in support of the protest. This dissent had led to suspension of 126 Tamil Nadu lawyers including leaders of various Bar Associations. The decision to stay the suspension was taken in the light of Joint Action Committee’s resolutions undertaken on August 14, calling off all forms of agitations temporarily and get back to work. 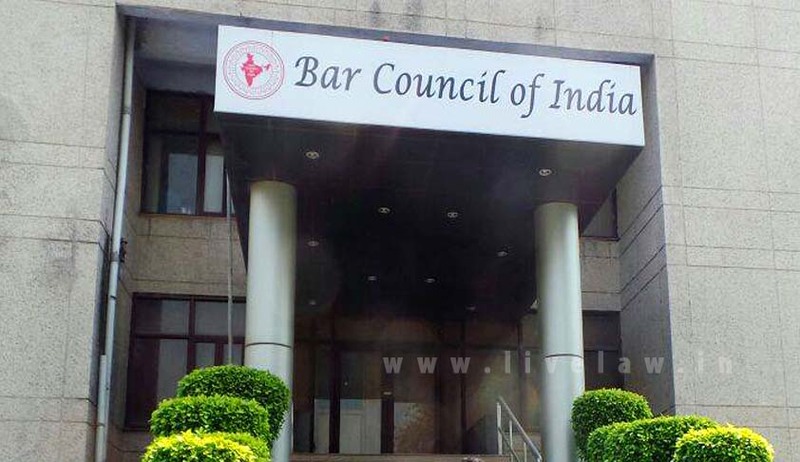 The Bar council has directed the state bar council of Madras & Puducherry to ascertain and report whether the lawyers have started work throughout the state as per their resolution. Basis the report that shall be submitted to the BCI on 22nd August, it will pronounce its final orders on the suspension. “1. It is hereby resolved that the agitation against the implementation of the recent amendment adopted by the Hon’ble High Court, madras under Section 34(1) of the Advocates Act has been suspended forthwith. All the advocates of Tamil Nadu & Puducherry will resume their work in courts from 16.08.2016 onwards. The Chairman expressed his desire to have a meeting with Joint Action Committee and seek out an amicable resolution to the matter. He assured that once the situation becomes normal and the judicial work catches up its pace, he shall notify the date.